Generally these Muliks(as they are called by some Konkanis) or Modaks(as they are called at our place) are prepared with bananas. 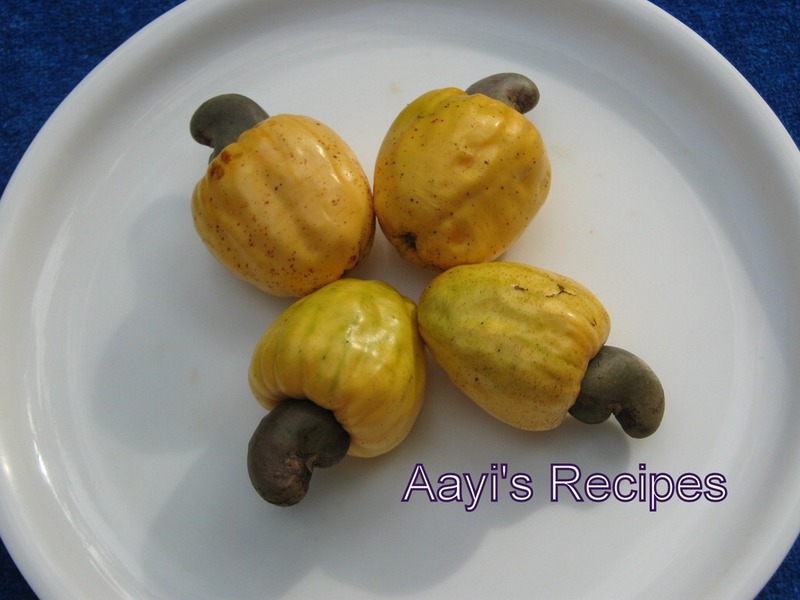 Some people prepare them using jackfruit also.The other day my neighbor gave me a few modaks made of cashew fruits. I did not know about them till then. They were tasty. I prepared them as I get cashew fruits easily near our Gramdevi Temple where we have cultivated hundreds of cashew trees. 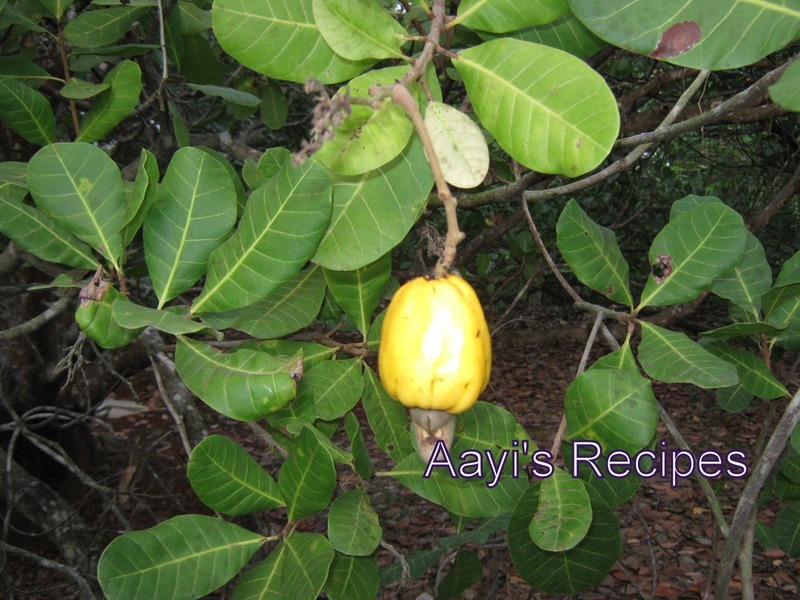 Cashew fruits have a very strong smell which is not liked by many. I am not a great fan of these fruits. But these modaks turned out great. 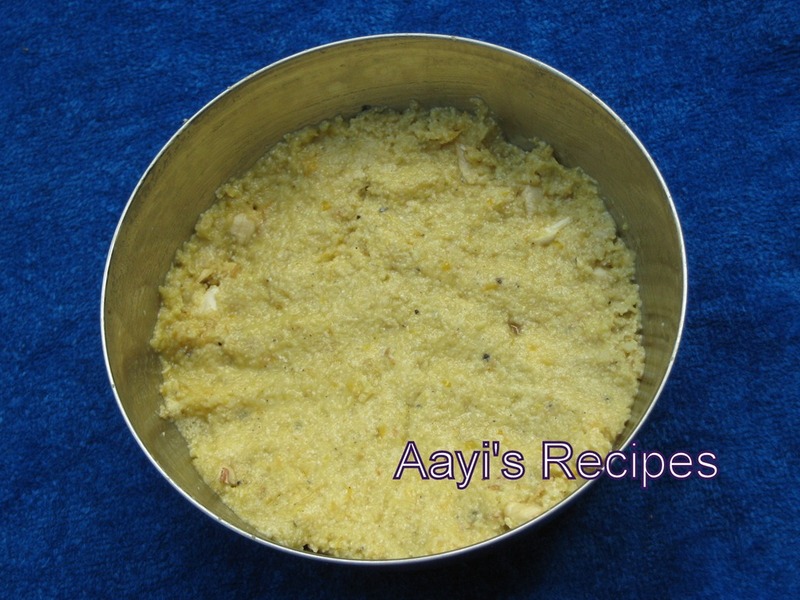 Grind cashew fruit pieces and grated coconut in a mixer.Add jaggery to this mixture and continue grinding. Take this smooth paste in a bowl. Mix sooji, cashewnut pieces, cardamom powder and salt with this paste. 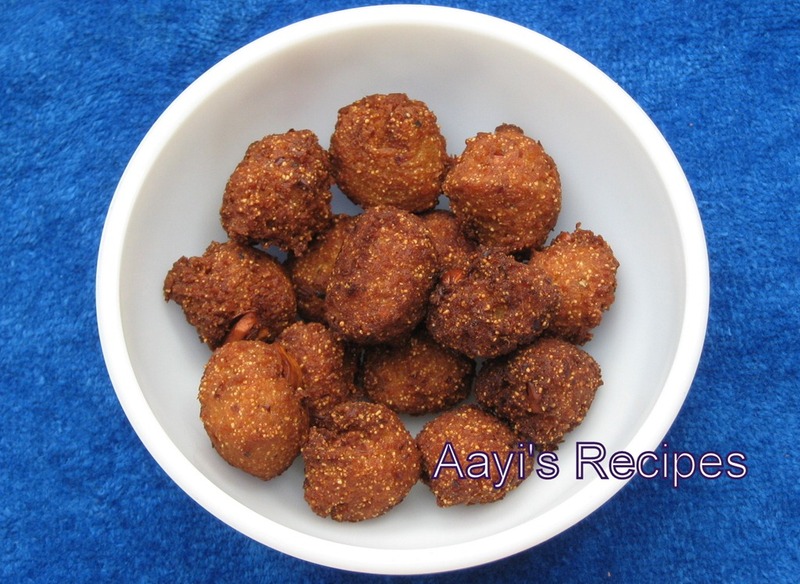 Make small balls and deep fry in oil or ghee on low flame till they turn brown. Wow Thai..mulik can be prepared by kaju also..cool.. surely i will try this. Pictures look very beautiful. Never heard about this fruit. yummy modaks with cashew..love cashews..this one is a hit!! This looks wonderful. 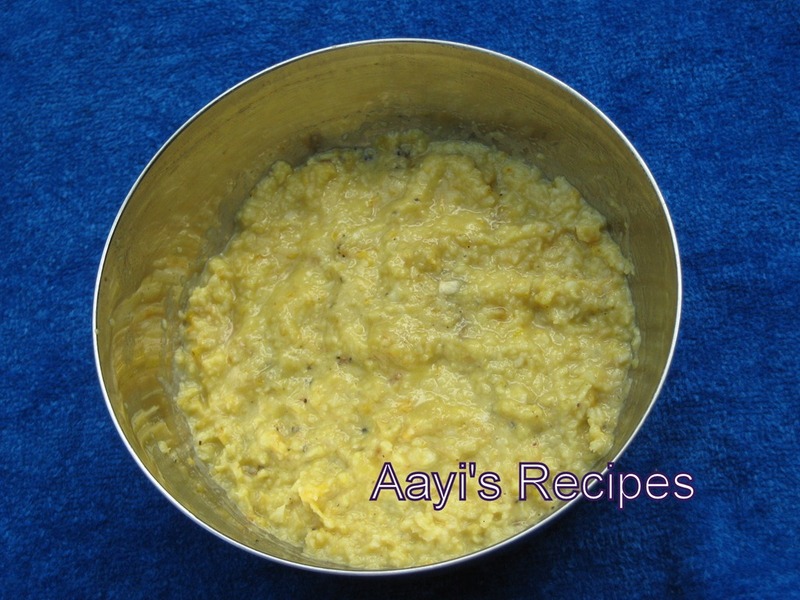 Can you tell me is this recipe similar to Gharrumberi (made during varsheek) ? Can you please tell that recipe. Would be great. 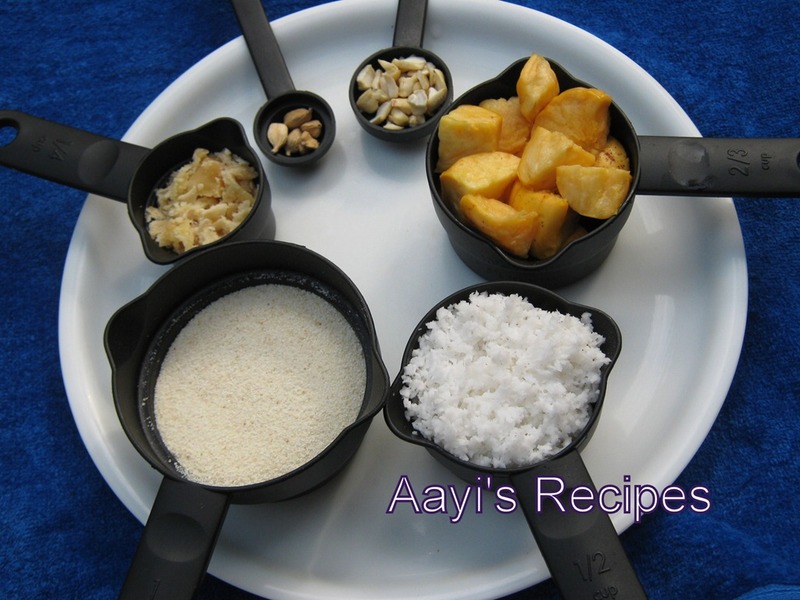 Shilpa.. food cooked in cast iron increases the iron content of the food. 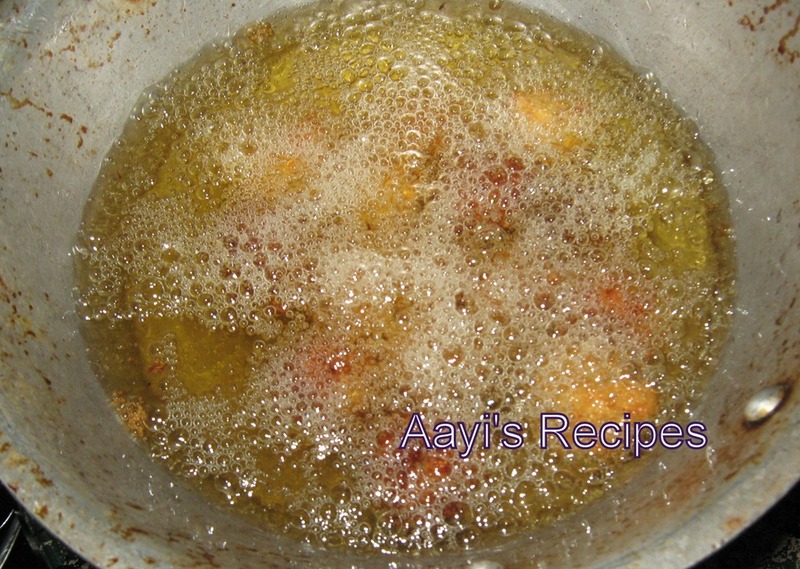 Also I have seen it absorbs moisture giving a good consistency to dishes without using much oil… e.g. Baby brinjals cooked in a cast iron skillet stays firm. Please apply slight oil to a freshly washed skillet and keep in advance. Wash it with water before use. This helps to prevent sticking. Aluminium is not supposed to be good for health.